The picture of the Alchemical Wedding in Ashmole 782 was a turning point for Matthew and Diana in A Discovery of Witches, and a huge turning point for the readers as well! About Emily: Emily Balivet, is an entirely self-taught, freelance colorist who has been producing art in the style of figurative realism for over 20 years. 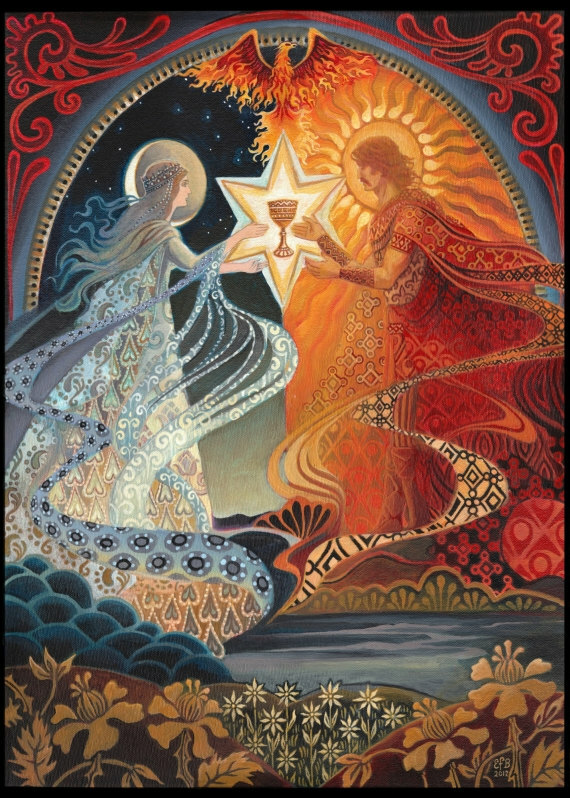 Her detailed artistic renderings of the divine feminine, mythological figures, and ancient earth based religions has won her a worldwide fan base that span many languages, ages and interests. She derives inspiration from the pre-Raphaelite/Art Nouveau/1960's Psychedelic Art movements as well as the luscious landscapes of her native Vermont and Alaska. In crafting her vision she borrows elements of the world that surrounds her, as well as those that exist in the realm of fantasy. Seeing through the eyes of her two inquisitive daughters, lends another aspect to her artwork....youthful curiosity. A true crossover artist, her painting continues to probe the nature of spirituality as it expands into new formats and mediums. 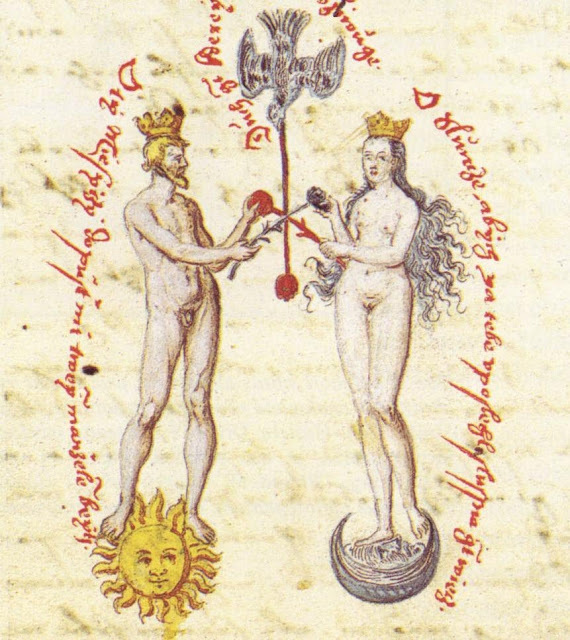 The concept of the alchemical wedding means so many things to different factions of people; Pagans, Judaeo-Christians and scientists (modern-day alchemists!). But for our purposes (right now), we'll use it to demonstrate the union of opposites. Light and dark. Hot and cold. Witch and vampire. Diana and Matthew.